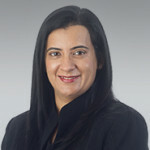 Vinita Mehra has been chosen as one of six new members of the Columbus Women’s Commission. First Lady Shannon Ginther is chair of the Commission, which works to dismantle barriers and reduce gender-based inequities to improve the economic position of all women in the community. The Commission focuses on four key areas: pay equity, housing and safety, health and nutrition, and workforce development and education. The Commission is tasked with bringing awareness to the unique needs and challenges facing women in Columbus, and to convene, impart knowledge, catalyze, build partnerships, recommend solutions, and advocate to create change in this community, with the belief that all women have the opportunity to succeed. View the Commission’s release, including the full list of new Commissioners here.